Never underestimate a woman's strength and courage. Never tell a woman that she can't do something, or she is not strong enough to handle it. And never tell a woman, that her place is only in the home, because a woman's place is anywhere she wants it to be. 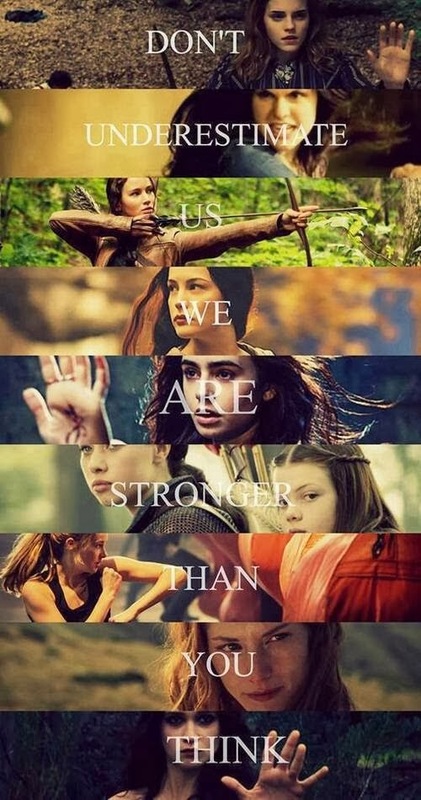 Never underestimate the power of women. We are capable, strong and able to handle whatever comes are way. We are strength,courage and a wealth of wisdom. We create, birth, nurture and love. We are more powerful than you think.